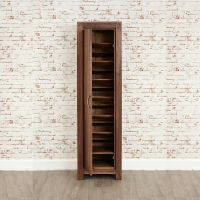 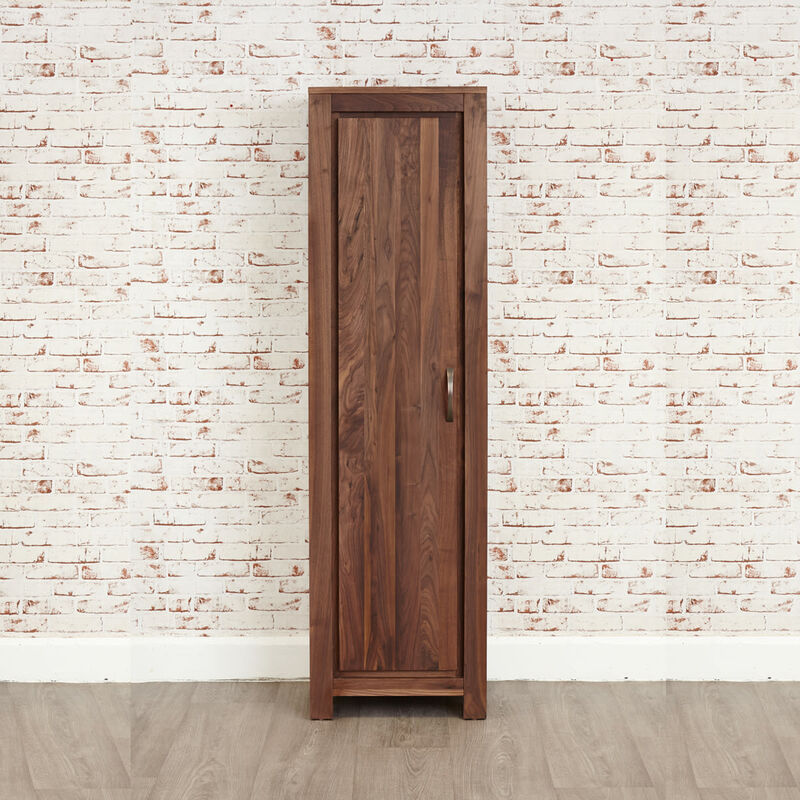 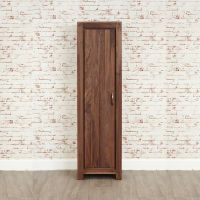 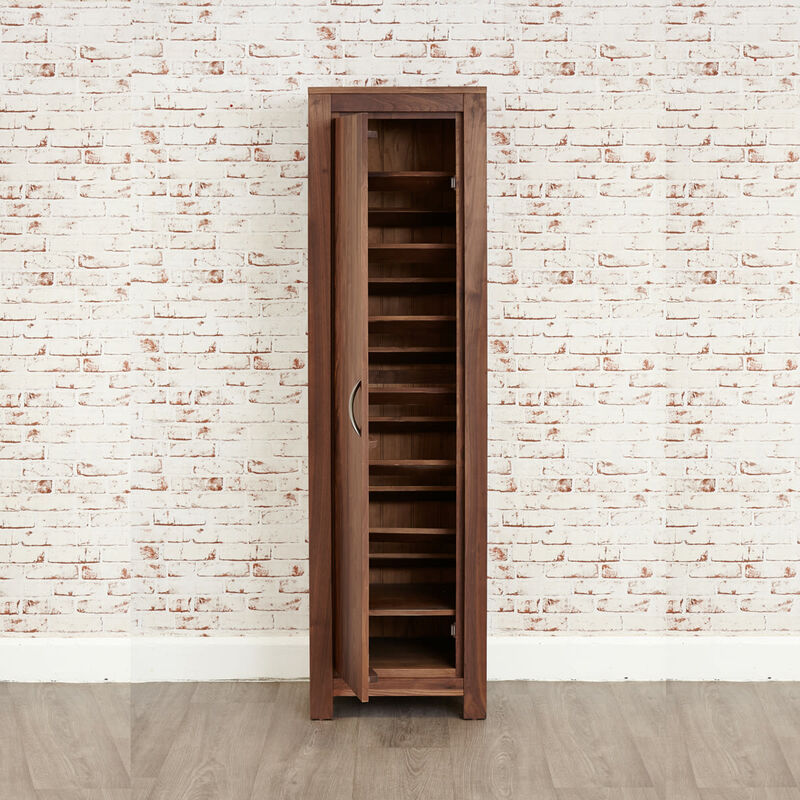 The Mayan Walnut tall shoe cupboard is made from solid, environmentally friendly, high grade walnut, which has been finished off with a soft satin lacquer to accentuate the wood grain and stylish antique bronze handles. 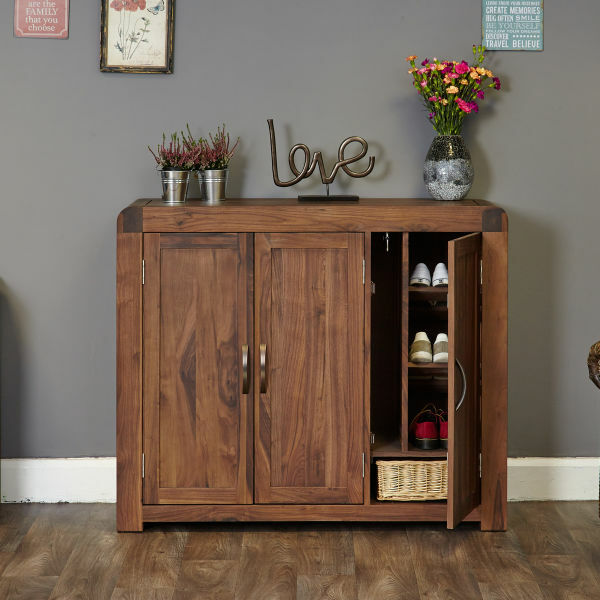 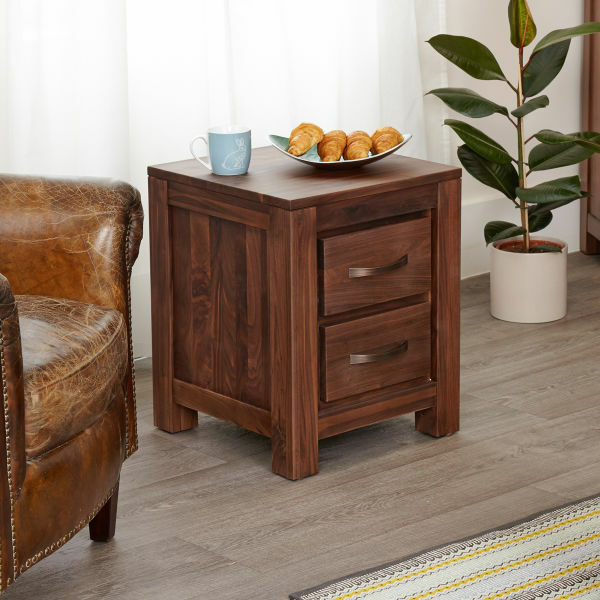 Walnut is a particularly beautiful hardwood, which as well as being high quality has a very dense grain which makes it the perfect choice for unique pieces of furniture. 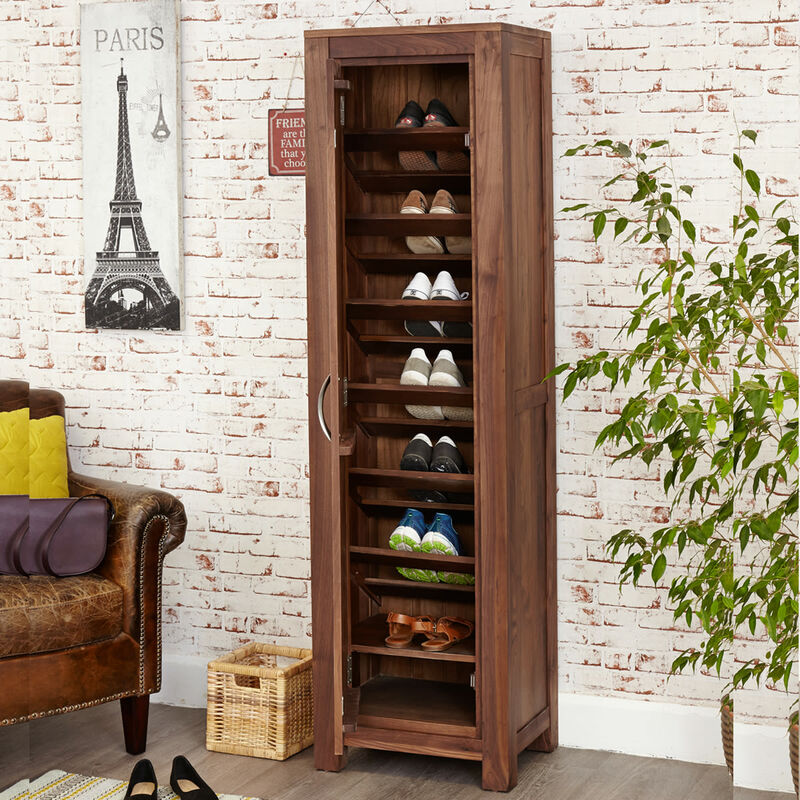 Keep your hallway tidy with our best selling range of shoe cupboards. This shoe cupboard offers great hidden storage and is a beautiful piece of furniture in its own right. 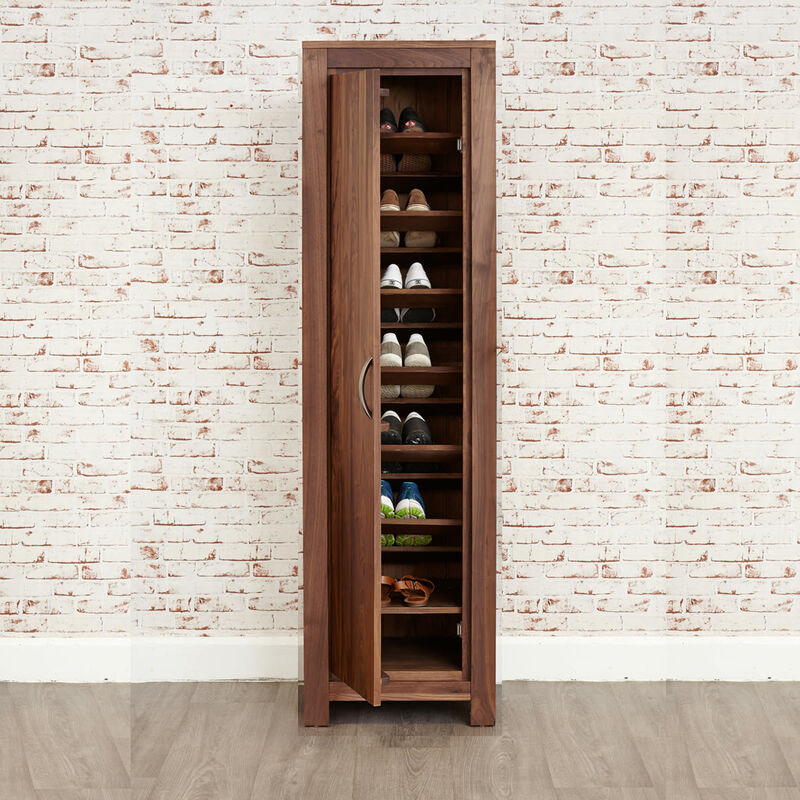 The cupboard has seven shelves and is designed to hold 16 pairs of shoes. 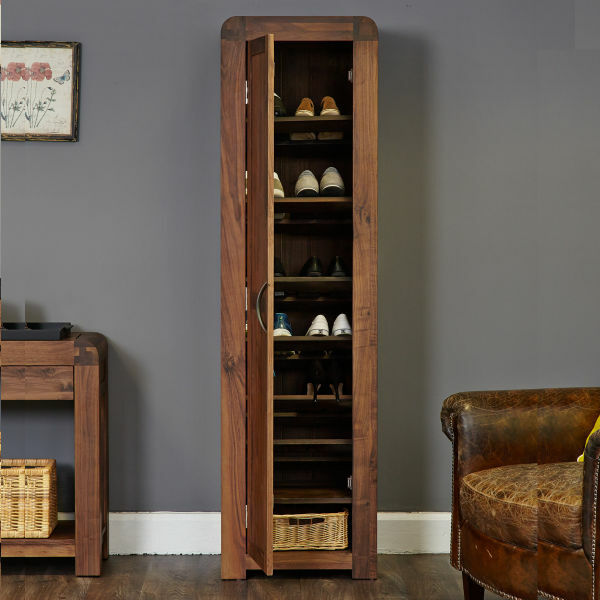 One of the shelves is removable making it perfect for boot storage. 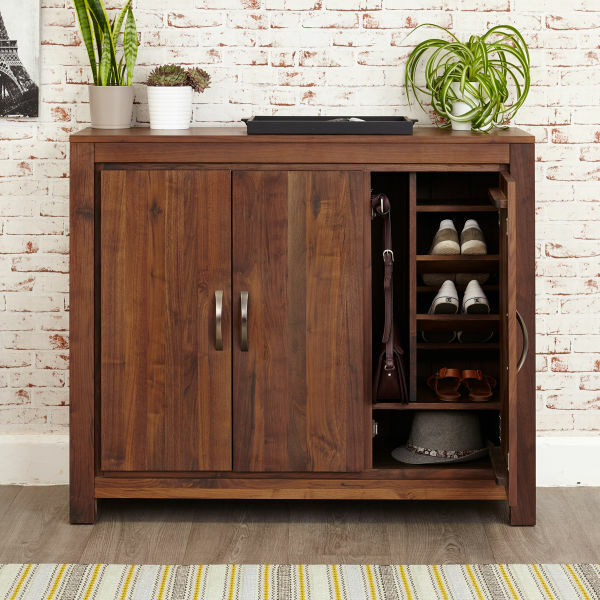 The cupboard also comes with a useful wicker basket which fits neatly at the base and could be used for glove, hat and scarf storage. 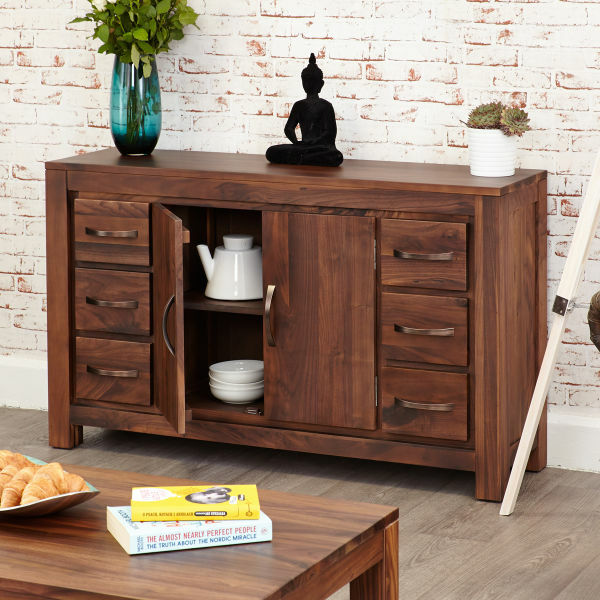 The cupboard is beautifully finished with side panel detailing and elegant handles. 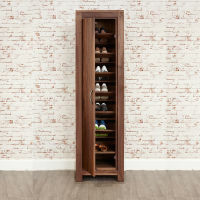 The Mayan Walnut tall shoe cupboard is delivered fully assembled. 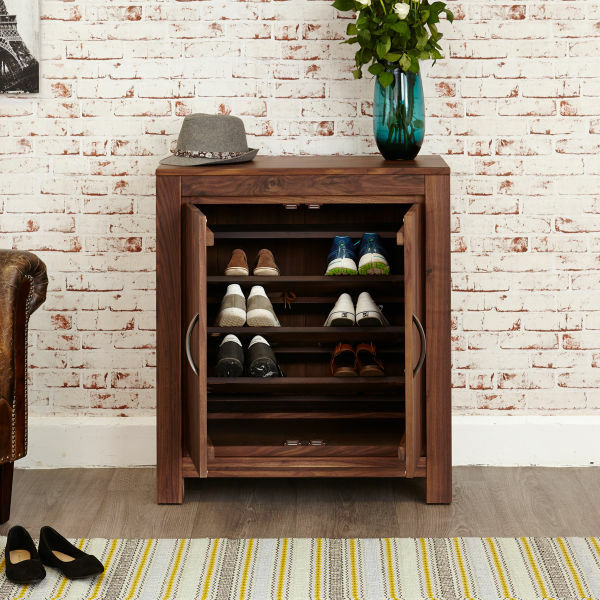 The Mayan Walnut hallway range has two alternative size shoe cupboards.